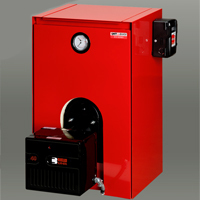 The BIASI B-10 boiler system has been heating residential and commercial buildings throughout the world for years. With the three pass, boiler design, and low water content, heat is quickly supplied for your heating zones and hot water needs. It is particularly effective in baseboard and hydro-air coil applications where it achieves fuel savings of up to 40% over conventional single pass boilers. The B-10 Boiler package complies with ASME and UL standards and is Energy Star rated. Should any problem arise during our contracting of work performed, we are fully insured. LeBlanc Heating offers a 5 year labor warranty on most of the products it installs. Biasi product warranties will be processed by LeBlanc Heating and will be outlined in the investment agreement.